Established in 1842, this magazine is one of the oldest continuously published music journals in the world. 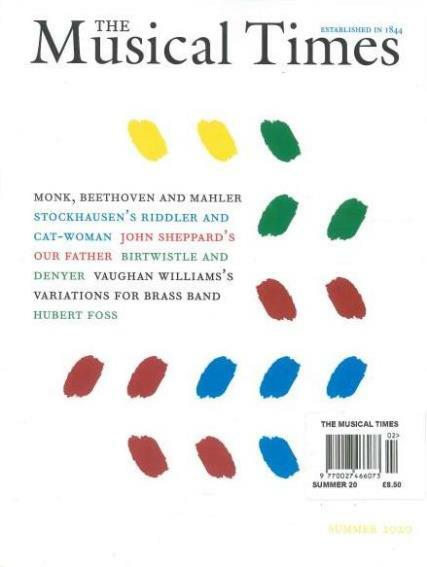 The Musical Times is 100% dedicated to offering the very best in contemporary writing about classical music. Musical Times is completely focussed on quality articles, book reviews, and the latest news round-up. It is written by the world's leading authorities on the subject and each copy provides the reader with over 80 pages of thought-provoking observation and study.